This development research aims to produce an academic stress scale to measure the stress level of students who have high validity and reliability. So that it can facilitate counselors in helping students with academic stress problems. This development research uses a method or strategy developed by Borg and Gall involving 300 students. The sample of this study were junior high school students aged 13-16 years who were selected with cluster random sampling technique, Pearson Product Moment data analysis, Cronbach Alpha, normality test and factor analysis. This development research resulted in academic stress instruments consisting of 31 valid items and 15 correlating factors. So that the final results of this academic stress inventory can be used to measure students' academic stress levels. Albana, J. M. (2007). Sulit belajar (langkah praktis mengatasi stres belajar). Jakarta: Prestasi Pustaka Anak. Azwar, S. (2007). Validitas dan reliabilitas. Yogyakarta: Pustaka Pelajar, 44–46. Azwar, S. (2015). Penyusunan Skala Psikologi. Ed. 2, Cet. VII. Yogyakata: Pustaka Pelajar. Bariyyah, K. (2015). The Effectiveness of Peer-Helping to Reduce Academic-Stress of Students. Addictive Disorders & Their Treatment, 14(4), 176–181. Barseli, M., Ifdil, I., & Nikmarijal, N. (2017). Konsep Stres Akademik Siswa. 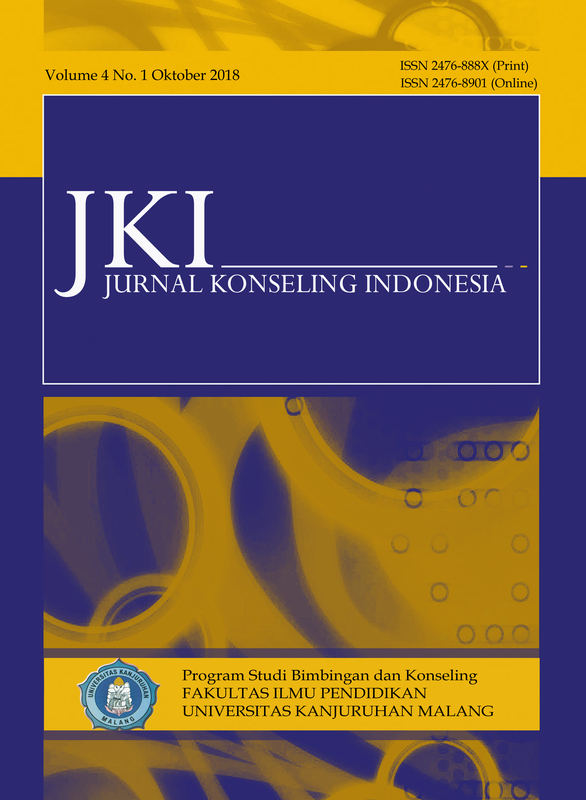 Jurnal Konseling Dan Pendidikan, 5(3), 143–148. Chalpin, J. P. (2006). Kamus Lengkap Psikologi (Terjemahan Kartini Kartono). Jakarta. PT Radja Grafindo Persada. Lopes, R. H. C. (2011). Kolmogorov-smirnov test. In International encyclopedia of statistical science (pp. 718–720). Springer. Marlina, E., Arifin Ahmad, M., & Pandang, A. (2015). Pengembangan Inventori Peminatan Karir (IPK) sebagai Alat Ukur Arah Pilih Karir Siswa. Jurnal Penelitian Tindakan Bimbingan & Konseling, 1(1). Nurmaliyah, F. (2014). Menurunkan Stress akademik siswa menggunkan teknik self-instruction. Jurnal Pendidikan Humaniora, 2(3), 273–282. Onwuegbuzie, A. J., Daniel, L., & Leech, N. L. (2007). Pearson product-moment correlation coefficient. Encyclopedia of Measurement and Statistics, 2(1), 751–756. Taufik, T., Ifdil, I., & Ardi, Z. (2013). Kondisi Stres Akademik Siswa SMA Negeri di Kota Padang. Jurnal Konseling Dan Pendidikan, 1(2), 143–150.